This entry was posted on	August 7, 2009 at 3:42 pm	and is filed under Rubber Room. Here we have a group trying to eliminate green house gases(96% water vapor) to prevent global warming. 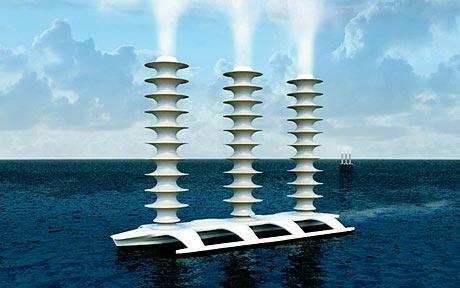 Now we will have another group pumping water vapor into the atmosphere to prevent global warming. This is better than Abbott and Costello. As suspected, under the scrutiny of REAL science the whole AGW charade would drift further and further into ridiculousness and we would all finally realize how out of touch its disciples are by the kind of ridiculousness their “faith” requires them to accept. If clouds, which have always been with us, have the power to offset (so-called) warming, then is there really “global warming” at all, or just variability in cloudcover? I can answer that myself. 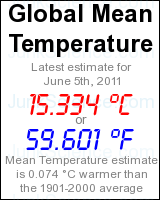 There IS variability in cloud cover, and variability in cloud cover DOES cause variability in temperature. It has been proven times over and “deniers” like Roy Spencer, Roger Pielke, and Anthony Watts have been claiming this for years. Strip away the pomp and AGW hysterics, and this idea is clearly an acknowledgement of the same. Am I crazy? On the more insidious side of the AGW battle our alien overlords are waging against us, do any of you know someone in St. Louis? Yes, let’s send the planet into a cold period deliberately why don’t we! Looks like a couple of bong pipes. Appropriate. You have to wonder what they were smoking when they dreamed this up.